The Kardashian-Jenners are a family who love hard – each other, and their romantic interests. As a result, the sisters have made some big choices for the sake of love in the past – Khloe Kardashian married Lamar Odom one month after meeting, for example, while Kim Kardashian‘s whirlwind romance with Kris Humphries saw her engaged, married, and filing for divorce in the space of a year. And now, it seems like Kylie Jenner has made a permanent decision of her own – as she’s revealed matching tattoos with her new beau Travis Scott, just two months after they started dating! Make-up entrepreneur and reality star Kylie, 19, has appeared very smitten with Travis, 25, ever since the first pictures of them as a couple emerged at Coachella Festival. 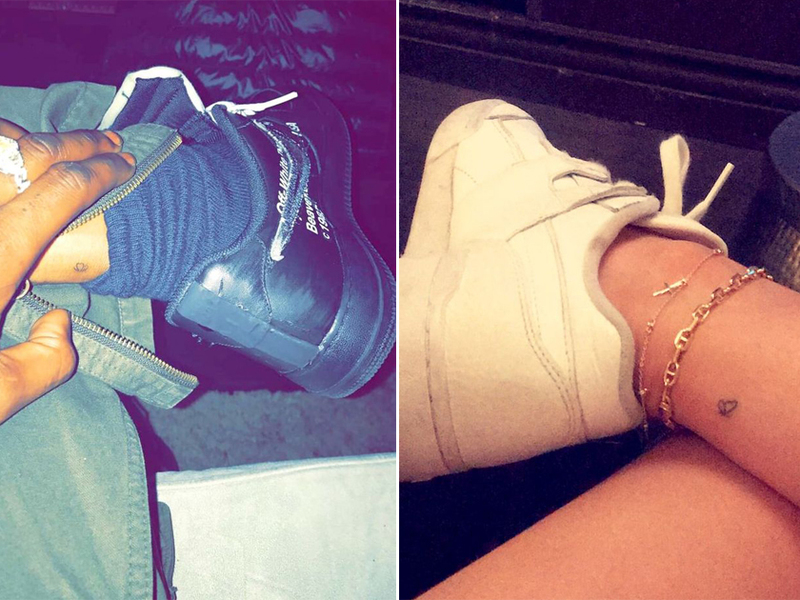 And earlier this week, they proved just how into each other they were by debuting their new tattoos – of course, on Snapchat. Both of them now have a small butterfly drawn on their lower calf, just above their heels. A very delicate inking, it’s one that can be easily hidden – and if not for their showing it to their eager fans, may have remained a secret for them both for quite some time. Most likely, the image of a butterfly was chosen as a symbol for Travis’ new track Butterfly Effect, which is widely said to be about Kylie – d’aww.